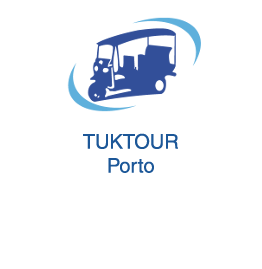 TUKTOUR PORTO will ensure magic to the most beautiful day of your life! Dreams of a perfect day, TUKTOUR PORTO will propose a personalized service, different, unique, fun, festive and professional! Together, we will organize events with a maximum of 6 electrical tuks, quiet, comfortable, ecological and driver, transporting up to 6 people / Tuk. Our tuks can be decorated with flowers, flags, and other accessories. 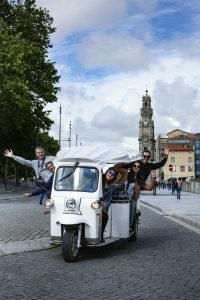 Family celebrations with TUKTOUR PORTO, where the festive atmosphere is always present! An original arrival fun with our electric tuks, comfortable, ecological with driver / guide! Our team is at your disposal to make your night of your event an unforgettable moment. Street concerts, street theater, carnival, folklore … Together we participate in the cultural life of Porto.